Discount Garden Supplies and More! Thanks for visiting the Garden Supplies Centre! One of the important sections of BasilBasics.com is how to grow those healthy basil plants. 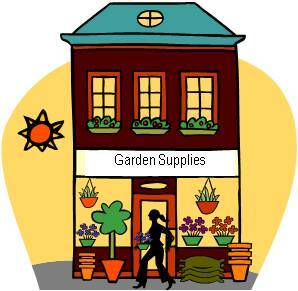 This store contains your garden supply needs, from ceramic pots for the garden to indoor pots. From decorator stoneware to birdhouses to herbal garden starter kits, the things you need to get that garden started or where you want it. For your convenience, each item has the manufacturer and distributor listed so you can be sure you are getting just what you are looking for. Also, there is a good possibility that the same item may appear more than once so you can do a little comparative shopping. If you do not see exactly what you are looking for, you can go to the actual store’s website by clicking on the name of the store in the boxes listed with the individual products below. From there, you can do an actual search on that website for the exact item you are looking for. This, hopefully, should save you from having to search on additional websites. MasterGardening, and Kalyx focus on the gardening industry, while Unbeatable Sale provide a broader selection of products beyond gardening supplies. Please note, that although these three do not solely focus on gardening, they do offer a good selection of products in this space. Check back often as we will try to adjust what is on hand based on what you tell us you are looking for. So please feel free to use the Contact Us page and tell us what's missing. The only way to make this the best it can be is with your input. Not the stuff you are looking for? Looking more for garden tools perhaps? Well you might want to check out the Garden Tools Supplier, which has a broad range of garden tools, composters and other gardening needs.